Ian Millar and Dominic Spencer had sell-out shows in the 2007, 2008, 2009, 2010 & 2011 Edinburgh Fringe Festival at the Radisson Blu Hotel in Edinburgh’s Royal Mile, with over 5,600 people coming to see them perform in total. August 2012 sees them bring their unique blend of jazz and landscape for the 6th year running at the Radisson. (This year as well as "Jazz at Lunchtime" every day, they will also be perform every Thursday, Friday, Saturday & Sunday evening throughout The Fringe at 7pm. These two musicians have been playing all over rural Scotland in recent years, often bringing jazz to rural communities for the first time. The beautiful Scottish scenery that they have seen on their travels has inspired the writing of many pieces of music - their latest CD is called “The Isle of Skye” and was promoted by them during a mini tour of the island. They have now embarked on a new venture - that of capturing the atmosphere of scenic Scotland and putting it onto video and using it as a backdrop to their music at concerts. It adds atmosphere to the concert and helps to create inspiration for their improvised music. 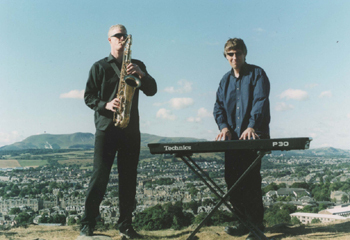 Their show consists of evocative, melodic improvisation from this saxophone and piano duo with a backdrop of beautiful, inspiring Scottish landscape on video, taken by them. They have performed to many 1000s of people with rave reviews and fantastic audience comments . Their show is truly unique. 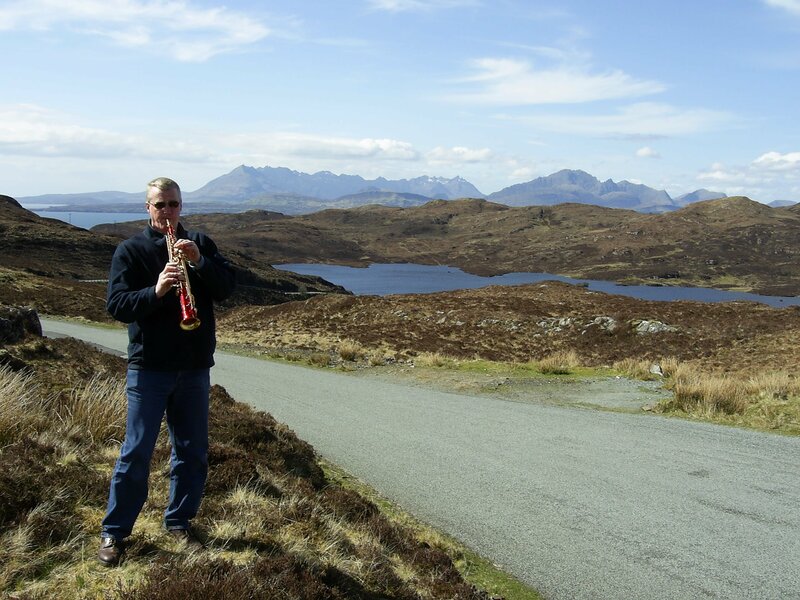 The use of modern jazz gives the Scottish scenery a refreshing contemporary atmosphere where the audience can experience this beautiful, timeless scenery on video as a backdrop to the evocative inspiring music. They performed their first concert in Europe in May 2009 in Brussels (see poster below). Sell-out shows 2007/2008/2009. 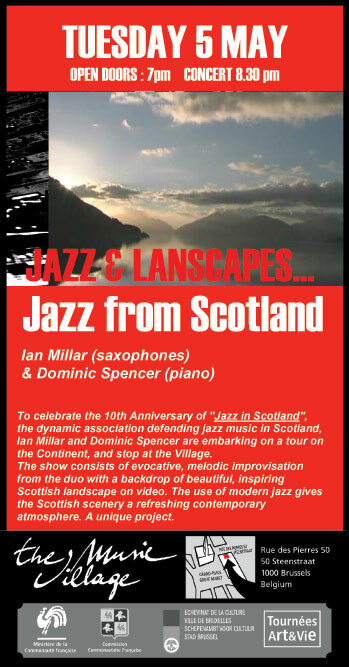 Saxophone and piano duo playing standards and melodic originals with inspiring video backdrop of Scottish scenery in The Great Scots Hall - a beautiful, candle-lit traditional Scottish room with a magnificent stone fireplace and hand-painted ceiling offering a comfortable, relaxed, informal, jazz club atmosphere. Unreserved seating at tables. HAVE LUNCH or JUST LISTEN!